Bruno Mars, The Killers, and Muse will headline this year’s BottleRock Napa Valley music festival. BottleRock announced its 2018 lineup early Monday, Jan. 8. The festival takes place May 25-27 at the Napa Valley Expo. and blogs.The festival encompasses much of what Napa Valley is famous for: great music, renowned chefs and, of course, amazing wine. Three-day passes go on sale Tuesday, Jan. 9, and are guaranteed to sell quickly. Daily lineups and single-day tickets will be announced later. Bruno Mars, currently the highest grossing pop star in the world, is arguably the most high-energy, entertaining showman to ever perform at BottleRock. Often compared to music legends like James Brown, Michael Jackson, and Sammy Davis, Jr., the five-time Grammy winner has performed two incredible Super Bowl halftime shows – in 2014 and 2016 – and knows how to put on a stadium-worthy performance. The Killers are high-energy rock and rollers, popular in the United States and Europe. Lead signer and keyboardist Brendan Flowers is one of the most exciting rock vocalists of his generation. The Killers’ record sales are huge, with five consecutive No. 1 albums in the UK. Muse, a progressive British rock trio, has sold more than 20 million records and have won 47 music awards out of 136 nominations – including Grammys for best rock album. 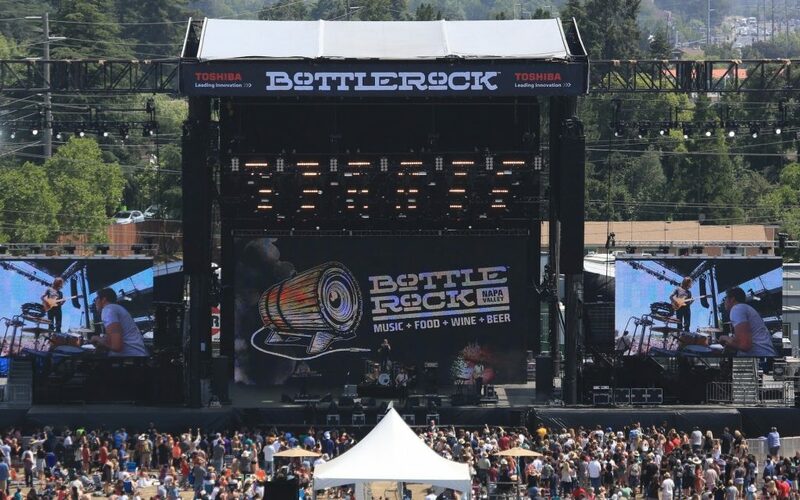 In addition to the three popular headlining acts, BottleRock Napa will feature more than 80 bands from multiple genres. Many of them are major acts in their own right. Snoop Dogg, Earth, Wind and Fire, Incubus, Billy Idol, Michael Franti & Spearhead are just a small sampling of some of the major musical performances lined up for BottleRock this year. Three-day passes range from $339 to $359. VIP three-day passes cost $749 to $799. Additional VIP passes, which include private suites and a more luxurious festival experience, start at $1,500 and go up to about $4,000.